Lively and, always on the go, city. 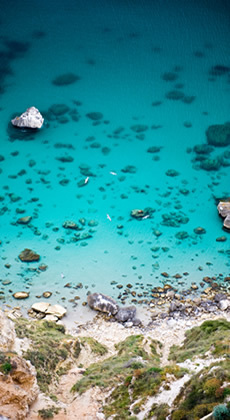 It is a destination for tourists coming from all over the world, attracted by the notoriety of Sardinia with its history and its sea. Cagliari is a nice experience to live: exclusive atmospheres with centuries of history, uncontaminated nature, a young and dynamic soul perceptible in the lively night life, a cuisine characterized by unique flavours. A stretch of fine sand, over 7 Kilometres long, the Poetto skirts the city , leading a glance which gets lost in the horizon. Framed by the Sella del Diavolo, unmistakable headland warding the port of Marina Piccola, the Poetto is called "the beach of the hundred thousand people" (spiaggia dei centomila). Right beyond the gulf, along the coast, bays and inlets conceal, Calamosca, Cala Fighera, Capo Sant'Elia, nice to discover by boat. 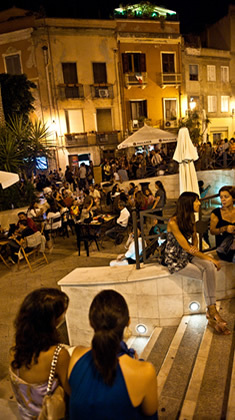 Several pubs, restaurants and bars animate Cagliari night life. The historical districts of Marina, Stampace, Castello and Villanova, offer a large choice of live concerts or dj performances. In summer Lungomare Poetto becomes more lively thanks to the entertainments provided by its characteristic beach kiosks. 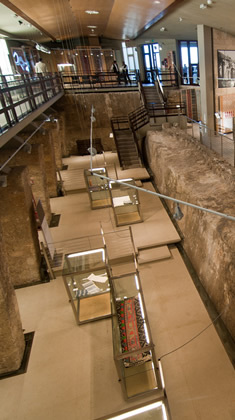 Cagliari has its origins in Sardinian prehistory. Its history includes the birth of civilizations capable of creating organized and free societies, characterized by intense trades and cultural exchanges among the Mediterranean people. Cagliari, like the whole island, was born from the stratification of all the cultures that lived and inhabited its territory: a mixture of languages, architecture styles, art and culinary traditions. The city of Cagliari offers a wide range of events which satisfy its eclectic public through different music styles: from the concerts of classical music, opera, balletto featured in the Teatro Lirico, to the seasons of pop and rock music and jazz festivals. Several theatres in Cagliari are willing to welcome in their stages various national and local companies. Visit the events section and discover how to have fun in Cagliari.